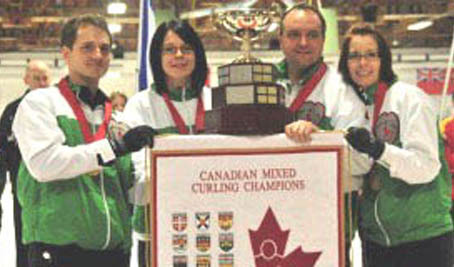 Saskatchewan’s Jason Ackerman stole singles in the 10th and extra ends to capture the Canadian Mixed Championship beating Alberta’s Kurt Balderston 8-7 in Saturday’s Championship Final in Sudbury, Ontario. 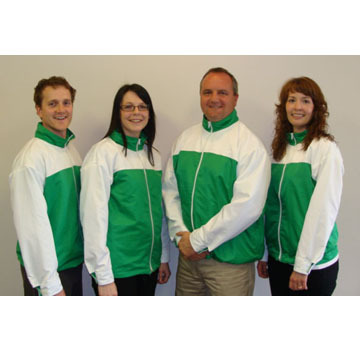 Saskatchewan was represented by skip, Ackerman, third Chantelle Eberle, second Dean Hicke and lead, Colleen Ackerman. Team Saskatchewan defeated New Brunswick’s Sylvie Robichaud 8-3 in the semi-final Friday night to move into the final after finishing tied for second place in the round-robin with New Brunswick with 9-4 records behind Alberta who was 11-2.